The New Vitality of Washington, D.C.
Sixth & I. Photo courtesy of the synagogue. To reach Sixth & I Historic Synagogue in Washington, D.C.’s, Chinatown, you may have to wander through a sea of modern buildings, many still under construction. Cranes soar high above the red-domed temple, which dates to 1908. When a trio of Jewish businessmen joined forces to save the synagogue 15 years ago, many considered the neighborhood to be a bit dangerous. The original congregation, Conservative Adas Israel, had moved on as Jewish families migrated elsewhere, and a church had taken over the beige-brick structure. Today, Sixth & I is a vibrant cultural center offering Jewish programming for anyone: Washingtonians gather to enjoy cocktails in the social hall while Ian McEwan reads from his latest book, or Anoushka Shankar sings under a stained-glass Star of David in the sanctuary. In its renascent mix of the contemporary and the august, Sixth & I is an apt metaphor for the city itself, which this month will host the inauguration of the 45th president of the United States, Donald J. Trump. Those who haven’t been to our capital in a while will be amazed by Washington’s new vitality—evident not only in the glittering glass towers and townhouses springing up in formerly derelict districts, but also in the hundreds of new residents who arrive each month and the institutions that hum with Jewish cultural life. The neighborhood around Sixth & I in the northwest quadrant is an ideal starting point for exploring today’s Washington, Jewish and otherwise. A century ago, this district bustled with thriving Jewish institutions, and vestiges of that era are still visible if you know where to look. 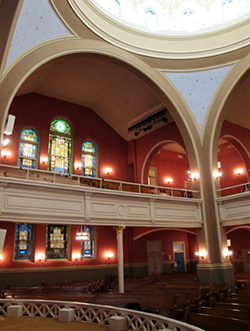 The Chinese Community Church at Fifth & I streets—originally designed as a Presbyterian church in 1852 by Thomas U. Walter, the same architect responsible for the United States Capitol dome—in 1906 became the home of Ohev Sholom congregation. Two blocks west, the Star of David window at Greater New Hope Baptist Church is a remnant of the twin-peaked structure’s original occupant, the Washington Hebrew Congregation, dating to 1898. Amid a nearby tangle of construction debris—the initial phase of a neighborhood renewal project—is a circa-1876 red-brick building whose prewar primness and modest scale look distinctly out of place. Until recently, it housed the Lillian & Albert Small Jewish Museum; more than a century earlier, it was the first home of Adas Israel. The museum closed last June and, over the next few years, the building itself will move a block away to a new campus planned for the Jewish Historical Society of Greater Washington. Albert Small, the museum’s namesake, was a philanthropist from a long line of Jewish real estate developers, which seems fitting in a town whose Jewish community has long been defined by buildings. Washington’s first-known Jewish resident, Isaac Polock, came from Savannah, Ga., in 1795, just five years after the city became the capital of the United States, and he built stately homes as an early land speculator. By the Civil War, Washington’s Jewish population had grown to 2,000, and the community’s new presence was visible throughout downtown. Immigrants from Germany and Eastern Europe built synagogues, while bustling Seventh Street was home to at least five Jewish-owned department stores (one façade, the erstwhile Lansburgh’s at Seventh & E streets, remains intact as the Lansburgh Theatre, part of the Shakespeare Theatre Company). To the west of this Jewish milieu is a more enduring category of real estate: The National Mall, originally conceived by the French-born urban planner Pierre Charles L’Enfant in the 1790s. While L’Enfant was dismissed and his city plan for the new capital only partially realized, the Mall flourished as an elegant green parkway punctuated with museums and monuments. The Mall is a quintessentially American landscape. It is a visual metaphor for the vast scale and ambition of the New World, as are the structures that inhabit it—classical temples that evoke the Greek roots of American democracy, endless shady lawns that reflect a fertile continent, buildings at once modern and timeless. 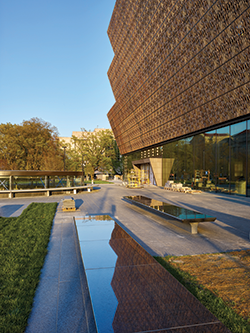 Jewish contributions are woven throughout these buildings—including at the most recent addition, the Smithsonian’s National Museum of African American History and Culture, which opened in September. Last year also saw the reopening of the renovated East Wing of the National Gallery of Art. But the quicker pulse of today’s Washington is most evident away from the Mall and the long-dominant northwest quadrant, in neighborhoods reinvigorated by new residents. Nowhere is this more evident than along H Street in Northeast, where a crop of hip restaurants, funky bars and theaters is transforming the once-sleepy strip. National Museum of African American History and Culture. Courtesy of Alan Karchmer/NMAAHC. Exhibit A might be the Jewish Mosaic Theater Company, which took up residence on H Street two years ago. That Washington now supports a second Jewish-oriented theater—the first is the edgy Theater J—speaks to the cultural vibrancy of a town better known for politics. Mosaic is also part of a Jewish rebirth for the H Street corridor, which in the early 1900s was something of a Jewish commercial center, featuring more than 100 Jewish-owned shops before the community migrated elsewhere in the 1960s. Mosaic is headquartered at the Atlas Performing Arts Center, a vintage theater whose revival is a cornerstone of the area’s renaissance. Today, Atlas patrons are regulars down the street at Star & Shamrock, an Irish-Jewish tavern where you can grab a good bagel. Those come courtesy of Bullfrog Bagels, the Jewish-owned bakery that got its start in the Star & Shamrock ovens at off-hours. Lines now form at Bullfrog’s storefront just down Seventh Street—the very avenue that, a century ago, teemed with Jewish business. Sixth & I’s century-old building is worth seeing just for its architecture—an imposing mix of Moorish, Romanesque and Byzantine styles reminiscent of European synagogues. But locals and visitors alike flock to the synagogue’s cultural programs, a lineup of concerts and literary events that has been compared to New York City’s 92nd Street Y. With a burnt-russet, tile-tiered façade and 36,000 artifacts illuminating the African-American experience, this instant landmark has been mobbed since it opened last September as the Mall’s final aboveground museum. Among the unexpected Jewish highlights: a shofar, prayer shawl and other ritual objects from Beth Shalom B’nai Zaken Ethiopian Hebrew Congregation in Chicago. Opening in November, the Museum of the Bible is the first Washington museum dedicated to the Hebrew Bible and New Testament. Some 40,000 biblical artifacts—including cuneiform tablets from the time of Abraham, ancient Torah scrolls and a rotating gallery of loans from the Israel Antiquities Authority—are to be displayed in a converted warehouse two blocks off the Mall. No doubt the draw for many Jewish visitors will be the planned kosher restaurant at the site. 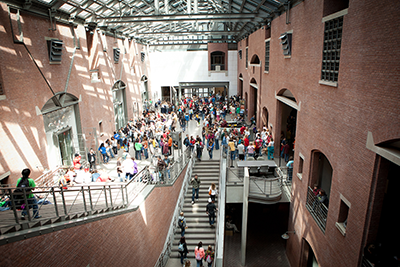 The United States Holocaust Memorial Museum. Photo courtesy of the museum. Stunning, moving and perpetually crowded, the nation’s official tribute to the Holocaust, just off the Mall, has evolved with exhibitions that explore more recent genocides. Current shows, such as “Some Were Neighbors,” about the complicity of ordinary people, probe the issues surrounding historical anti-Semitism. The permanent exhibition is so popular that advance tickets are required between March and August; during those months, take advantage of the “First Person” lecture series featuring Holocaust survivors. Also just off the Mall, the Hirshhorn is a breath of fresh air for modern art lovers. Arguably the most personal of the 19 Smithsonian museums, the Hirshhorn reflects the artistic passion of its namesake, Joseph Hirshhorn, the Latvian-Jewish immigrant whose Wall Street fortune financed the core of this collection, which includes works by David Smith, Auguste Rodin and Constantin Brancusi. Tucked behind the Smithsonian Castle, this verdant, four-acre hideaway is the perfect spot to unwind between museum visits. Philanthropist Enid Haupt was born in Chicago to the Jewish Annenberg family; the Victorian garden is a tribute to her status as America’s most noteworthy horticultural benefactor. The Jewish War Veterans of America maintains this small museum at JWV headquarters near Dupont Circle. Among the permanent exhibitions are a Hall of Heroes featuring American Jewish recipients of the Congressional Medal of Honor and a chapel dedicated to Belarusian-born Joshua Goldberg, who became the U.S. Navy’s first Jewish chaplain and the first to become a captain. The newly reopened East Wing is attracting crowds at America’s signature art collection. After two years of renovation, patrons can enjoy a spectacular roof terrace along with 12,000 square feet of sky-lit gallery space in the angular I.M. Pei building. The gallery is the largest public repository of works by famed Jewish Abstract Expressionist painter Mark Rothko. From Jewish Civil War veterans to Albert Sabin, who developed the oral polio vaccine while serving in the Army Medical Corps, there are so many notable Jewish monuments at Arlington National Cemetery that the Jewish Historical Society issues a 40-page pocket guide. 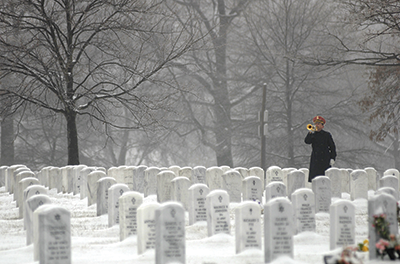 Arlington is a solemn place to contemplate the role of Jews in American history. There’s no better way to understand the role that Jewish buildings and people played in the construction of our modern capital than to hear it narrated, block by block, on Washington’s most popular Jewish tours. While the museum complex is under construction, the Jewish Historical Society of Greater Washington’s tours are the best way to get informed about Washington Jewish history. Washington’s newest luxury hotelbears a name synonymous with political scandal. 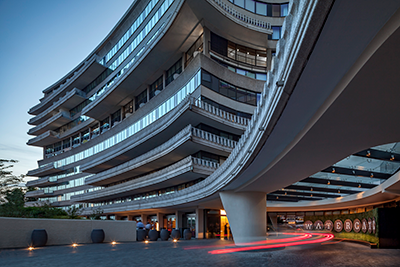 The Jewish real estate power couple Jacques and Rakel Cohen reopened the 1965 landmark last year—one of the six buildings in the entire Watergate Complex—after a $125 million renovation, with Mad Men-style midcentury décor and even a signature scent. With Montreal-style bagels, house-brined pickles and duck-fat matzah balls, this Dupont Circle Jewish eatery brought hipster-artisanal Jewish deli culture to Washington. DGS is one of several eateries manned by the third-generation Washington Jewish Wiseman family; both name and (non-kosher) menu are an homage to the so-called “district grocery stores” that dotted Washington’s streets a century ago. If only Republicans and Democrats could collaborate as winningly as pastrami with Jameson jam and other multiethnic dishes on the menu at this Jewish-Irish pub. You never realized it before, but matzah balls do go well with corned beef. And whiskey. Washington has surprisingly few kosher options for a city its size. Char Bar, a Foggy Bottom meat café with a sleek, modern interior, is the capital’s only full-service kosher restaurant. Another option: Soupergirl, a local kosher-vegan chain with a passionate following for its hearty soups, sandwiches and breads. 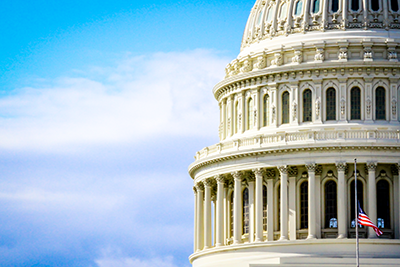 Hadassah Greater Washington covers the District of Columbia and the Maryland counties of Prince George’s, Montgomery and Frederick. Hadassah Northern Virginia includes the towns of Alexandria, Arlington and Falls Church as well as the counties of Fairfax, Loudon and Prince William. There is also Brooklyn Sandwich Co. a food truck that operates M-F in DC. They post daily on Facebook where they will be located for the day. Definitely worth checking out!